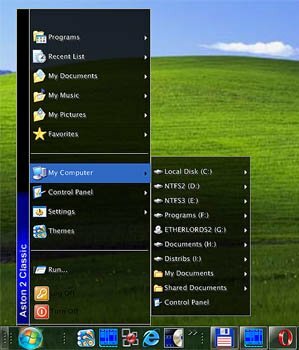 This is another classic start menu in the Windows 7 Style! Excellent skin but is not present vertical scroll, and it is necessary at opening of points of type Recycled.Menu where the attached files partially take places does not represent the reals, and so is excellent. All what need! Simple perfect! Why nobody put a LOCK icon in the skins??? ?